Konami have spent the last what seems like forever promising everything is going to better this year. They’ve introduced the new fox engine, opted to not release PES 2014 on the Xbox One or PS4 and have delayed PES 2015, which usually would have been released in September, until mid November. Did Konami justify this wait and deliver on their promises? Well, PES haters take PES 2015 out of your crosshair because the answer is an emphatic yes! Burdened by the myth that PES is simply an arcade football simulator and FIFA is the undisputed leader in football realism, Konami have always been in EA’s shadow. This probably hasn’t been true for the last few years and most certainly isn’t now. If you aren’t too fussed about game play, and think it is normal for a football games’ optimal strategy to be run forward from kick off, then by all means stick with FIFA. However, if you prefer having to play intelligent sensible football and being rewarded for such then wake up and make the move to PES. If you are already then well played, you clearly know a lot about football. 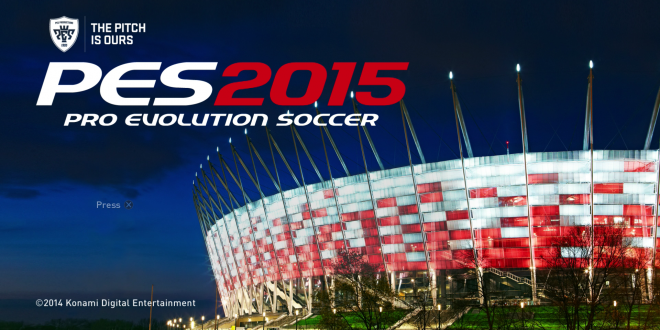 Let’s dive into a little more detail as to why PES is receiving such glowing reviews this year. The graphics. Wow. The likeness of the players is astounding. We never thought it would be possible for the Neymar on PES to look more like his real life counterpart but Konami have given it a good go. Some players are still off the mark, sure you’ve all seen the Nathan Baker picture flying around on Twitter, but hopefully a patch will fix that soon. The audience give a truly authentic match day feel to games and the little things such as the grass, ball and goals look great too. The real decisive point though is the smoothness at which the game is played at (60 frames per second to be precise) it somehow feels smoother than watching it on TV. It is difficult to highlight PES 2015’s best aspect as most are very impressive but passing would be a contender. Easy enough to implement so intelligent footballers can reap the benefits but difficult enough to prove extremely rewarding when executed correctly. In stark contrast to EA, Konami have made the game so passing is not only rewarded but imperative to succeed; if you don’t look to create gaps with movement, the game, and rightly so, will prove frustrating; yes Ronaldo is good but not good enough to Maradona-esque goals every game. The responsiveness of the controls only helps the passing aspect further, think the direct opposite of PES 2014 and that will paint a pretty vivid picture. Speaking of responsiveness we now have the ability to dribble in a way that simulates a realistic game of football, who knew that was possible. Keeping body between defender and ball is essential. It is effective enough so you can maintain possession but not so effective you can abuse it. Whilst skills aren’t imperative to beat a player, a well timed flick of the analog stick along with a dash will achieve that, they haven’t been improved upon from previous versions. Not to worry though, once you get the hang of them (a bit of practice never hurt nobody) they can be a deadly weapon that will take you from good to elite. Unfortunately however, the skills are now all manual and in our opinion somewhat complicated. We would welcome the return of the PES 2013 feint system where you could select four different skills from a rather long list and be able to implement them by holding the L button and flicking the right analog to the desired skill chosen. PES fans have mixed opinions on how they like they’re shooting. Personally, I like a bullet shot (think PES 2009) and the satisfaction that comes with it. Others prefer precision. Over the years Konami have almost experimented with both but it seems in this iteration they are giving us a clear choice. On PES 2015 a placed, or finesse shot as FIFA would say, will go where you intend it to, not so much that it floats towards the goal as criticisms in the past have claimed but firmly enough so it feels a little Messi like. On the other side of the coin, we’ll call it a myClub coin, hammering it feels great and will give you great satisfaction when scoring. If we were to be picky the only criticism would be a little more variation in the type of shots, i.e. where and how the ball goes towards goal. Defending feels like an improved versions of PES 2013. Double tapping the pressure button is still the way to ‘normal’ tackle which, if you’ve never played PES will be challenging at first, but after playing it for a while becomes second nature. Sliding tackles have varied greatly over the years on both PES and FIFA, sometimes they’re an over-powered tool and other times it feels like the player falls to the ground without moving at all. This year they share a similar effectiveness level with older versions but you now get that empowering crisp crunching feeling when successfully pulling one off. An additional feature to be enjoyed is the randomness, occasionally tackles that are on the borderline of perfect and criminal can go either way, get the ball, counter and go up the other end and score, or on another day you’re down to 10 men; a great laugh when playing with a mate, not so much of a laugh when playing in an online ranked match! The AI has mostly improved too. Defenders and midfielders will make more runs you expect them to. However the biggest, and most important, improvement is in the goalkeepers. Gone are the days of being through on goal and knowing you’re going to score, keepers now have the ability to pull of worldies. For some this will prove frustrating as they do with slightly too much regularity. For others and myself this only amplifies the enjoyment as it keeps the game more random thus keeping you on the edge of your seat. We could have gone into greater detail and even discussed further features with improvements but we think you get the idea. That, and, well, we’ve got some PES to be playing.